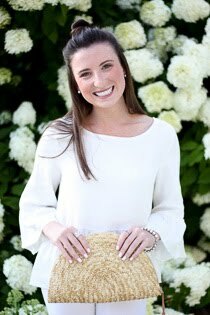 Happy Tuesday, I hope your week is off to a good start! I hope you all had a wonderful weekend spent celebrating the holiday and soaking in the absolutely beautiful weather. It was a pretty much perfect day Sunday if you ask me. 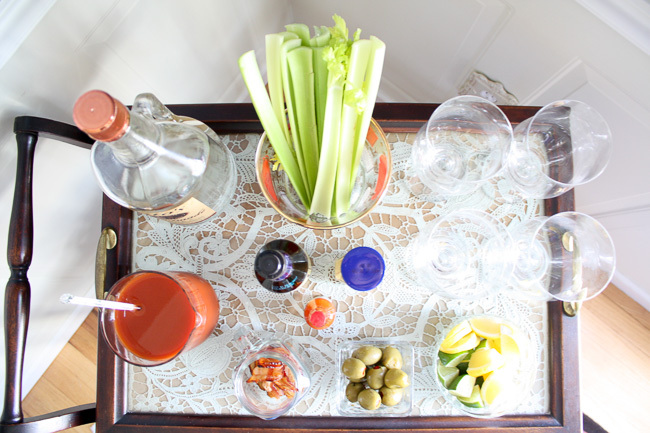 I spent the morning enjoying the company of family while indulging in Sunday brunch - bloodies included! 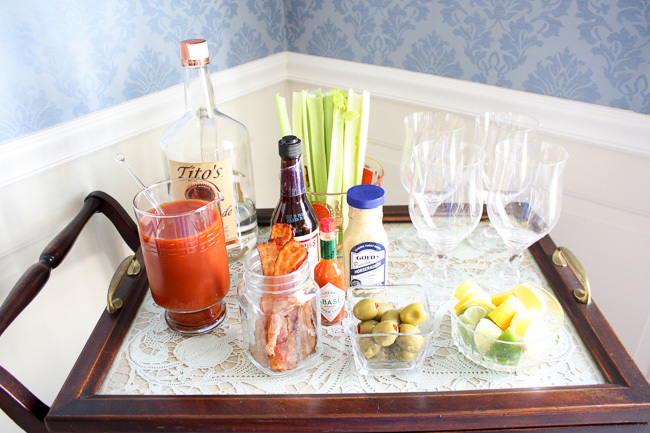 Bloody Marys are one of my favorite adult beverages, especially when a fun Bloody Mary bar is involved. Nothing better than being able to customize your drink to your exact tastes, especially if you're like me and like it to pack a punch. The spicier the better! 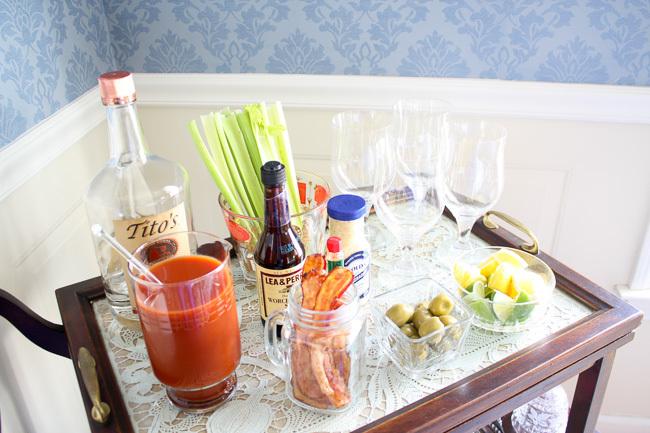 I wanted to share a peak of what a Bloody Mary bar in my household looks like, in case you are ever looking to step up your weekend (or any day) brunch! 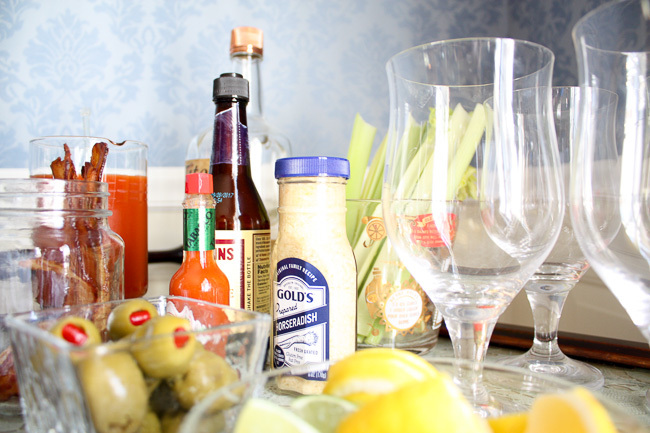 In my opinion the classic recipe is best - made from scratch - full of all the essential ingredients for a good Bloody. Start with your favorite tomato juice - make sure it's a good one as it's the foundation for the drink and, no slacking on the Worcestershire, horseradish, or Tabasco! Throw in tons of lemon juice, black pepper, and of course the vodka of your choice before shaking in a mixer. 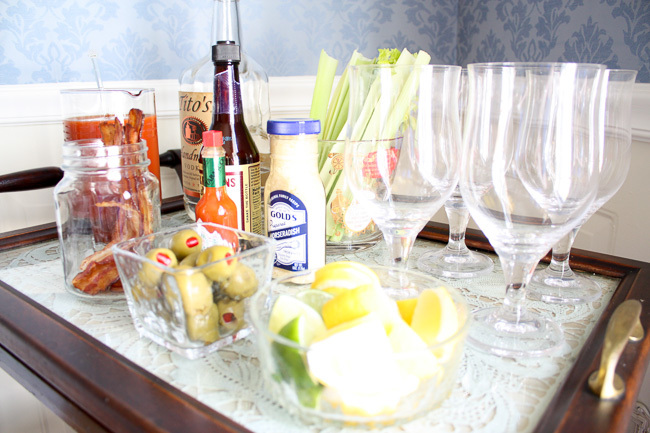 Serve over ice and garnish with celery, a lemon wedge and bacon! You can stop there or take it up a notch with a bacon salt rim. Let me tell you, it adds so much flavor and is so good! I definitely recommend giving it a go. 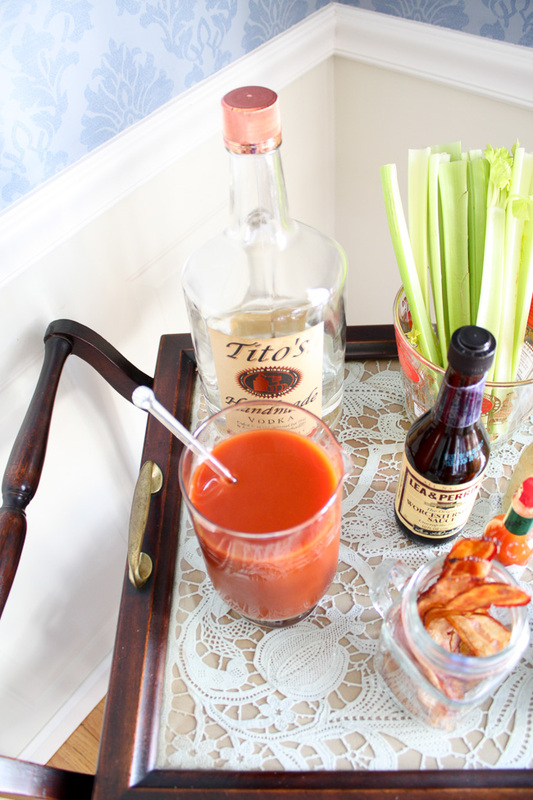 If nothing else, it adds a nice extra touch to the look of your Bloody Mary! Up until the other day, I always had my bloodies with a naked rim, but after trying this bacon salt, I have a feeling that is about to change. It was so so tasty! 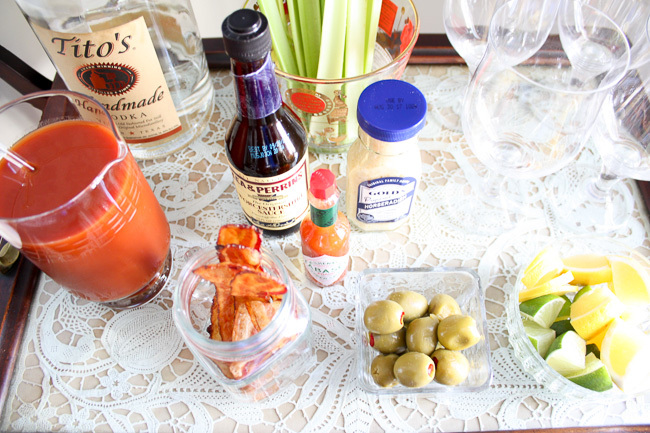 I'm sharing both the Bloody Mary Mix along with the bacon salt rim recipes below! Check them out, give them a try, and bring them to your next brunch. I promise they will be a hit! Enjoy! Cook bacon until crisp and then crumble. Pulse all ingredients in a mini food processor. Rub a lime wedge on rim of a glass. Dip glass rim in bacon salt. Fill glass with ice. Squeeze one lemon wedge and one lime wedge into glass. Add 2 oz. vodka. Top with 7 oz. 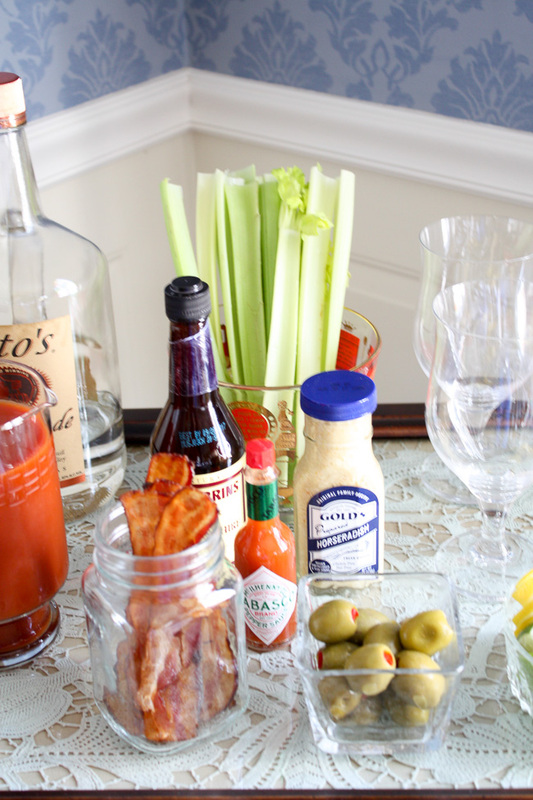 Bloody Mary mix. Stir to combine. Garnish with celery stick, bacon stick, and olives.